Repress of Deluxe Clamshell Box feat 3 gigs recorded at iconic London venues over a 14-year time span with tracks from the Unreleased 4th Album included! This LTD Edition Deluxe Clamshell Box featuring 3 gigs recorded at iconic London venues over a 14-year time span with tracks from the Unreleased 4th Album was one of out BIGgest sellers this year and sold-out in November, so to satisfy the un-fulfilled demand a small quantity has been remanufactured! So, if you want one for that unexpected Christmas gift for a friend or relative (or yourself) we can now supply this box once more. 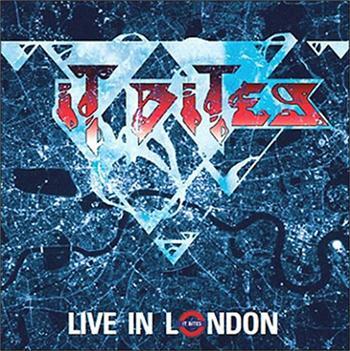 This Five CD Boxed Set featuring the original IT BITES line-up of: Francis Dunnery, John Beck, Richard Nolan and Robert Dalton. Each gig neatly follows the path of the first three IT BITES studio albums, PLUS a few tracks are also included from the NEVER-RELEASED 4th ALBUM! The Audio for the box was Recorded and Mixed by Tom Oliver. Each disc comes in a specially designed Card Sleeve that relates to the featured show. The Box also contains a 12-Page Booklet including Band Pictures and Sleeve Notes by Dena Stephens. ‘Live In London’ was originally released on 12th October 2018. Again, this release has LIMITED AVAILABILITY!